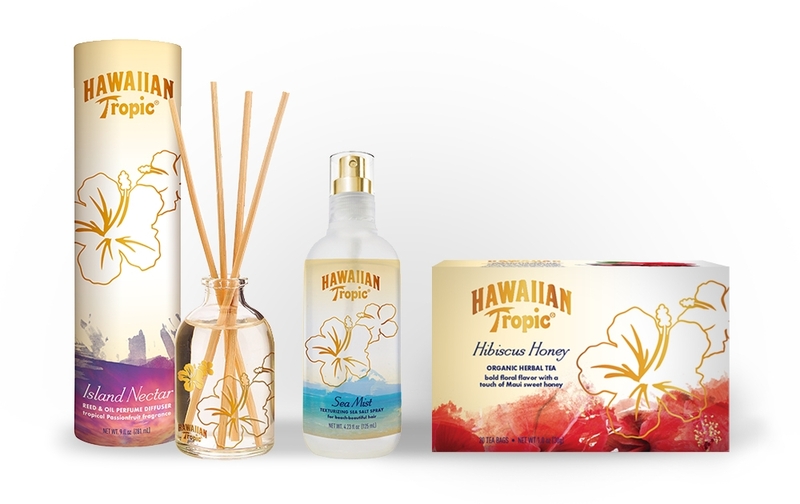 The Hawaiian Tropic brand offers an indulgent experience with rich, smooth formulas and exotic scents that take you to the tropics and far beyond your daily routine. The branding system, style guide and product patterns for licensed products translate the essence of the brand into an indulgent lifestyle experience. 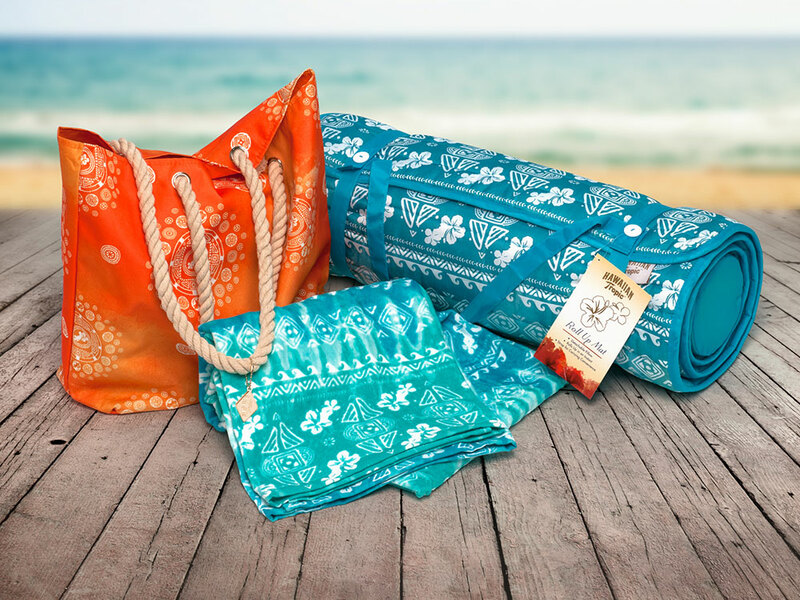 The licensed product program strategy and development translates the overall look and feel of the brand to bath and body, swim and apparel, home, and food category extensions with an upscale look. 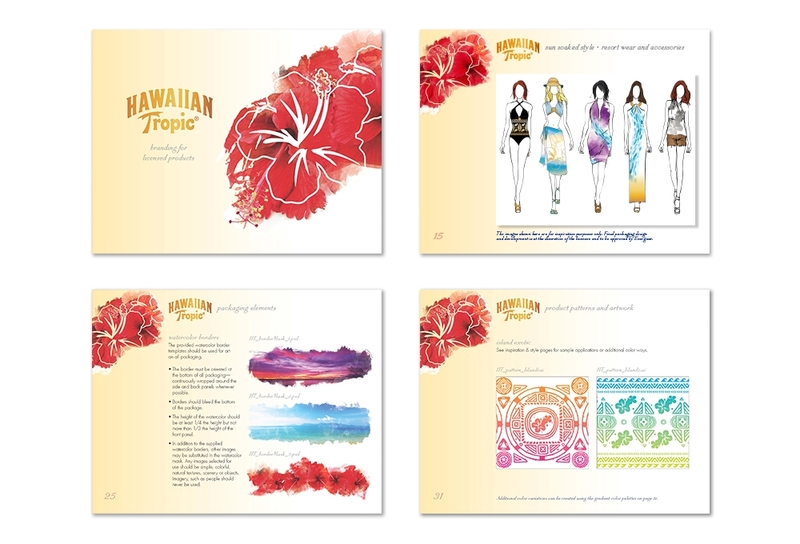 Product packaging incorporates the Hawaiian Tropic signature hibiscus, watercolor colorations and gold metallic accents. The Branding System and Style Guide provides artwork, assets and inspiration for the extension of the brand to lifestyle categories.